Arkham House, 1983; 270 pp. ; limited to 3,046 copies. First Edition. Within a distant nebula known as the Medusa, a bitter interstellar conflict rages between emergent spacefaring humans and the aging protoplasmic Senexi. In the midst of this struggle are born two humans, Prufrax and Clevo. They meet, they fall in love, and between sequences of savage combat with Senexi, the explore the sanguinary history of their civilization. 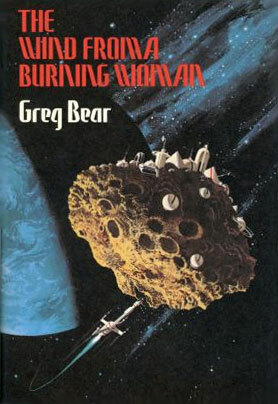 In addition to this Nebula Award-winning nouvelle "Hardfought," Greg Bear's collection contains five other tales of science fiction and fantasy.